Velvet a new fun way to dress up your outfit. 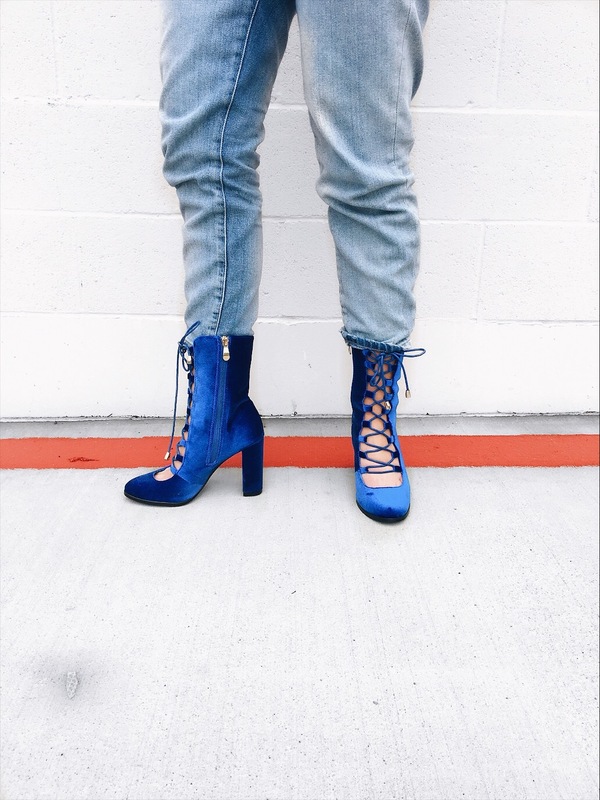 I paired these super pretty blue lace up shoes with my favorite cropped jean by ASOS and a hoodie I got at the Pablo pop up in SF. I really love this orange blue combo, this outfit definitely took me out of my color comfort zone. This hoodie is perfect. I’m loving the oversized look especially for casual wear. This fabulous bootie by AmiClubWear.com is perfect for both your causal and dress up holiday looks. I love the gold hardware details on the gorgeous blue color. What do you think of dressing down velvet and adding it to your causal looks? Simply cool and stylish! Love the shoes! Cool boots! Are they comfortable too? They surely look awesome! omg that pair of shoes is so pretty! YASS. Totally slaying in this look!